I’ve had a diverse life, to put it mildly. On the one hand, I can sit with a homeless person and discuss issues of addiction, mental illness, spirituality, or religion, and on the other hand, I can talk to an outlaw biker about a long road trip or the CEO of a Fortune 500 company about diversifying a business portfolio. I’m not bragging; I’m not some genius, it’s just that I’ve been through so many different things in my life that I can relate to all kinds of people. I didn’t see it as a gift of fortune as I walked through the excruciating incidents of my life that gave me this comprehension, quite the opposite; I hated my life and was quite ashamed of who I was. Today, these experiences give me an ability to share with people, further a discussion, and sometimes help people to heal. It was in the context of my life experiences that I was introduced to Graham Greene by one of my most admired professors. That led me on an interesting journey that I would have never expected. I must admit, I had never heard of Graham Greene, or at least I don’t remember hearing about him, despite his prolific writing and enormous body of work. He was before my time, for the most part, and he also held political and religious beliefs that would have alienated me from his writings and movies, most likely. That is, until my favorite professor, in college, who become not just a teacher, but a mentor and a friend, wanted me to become a Graham Greene fan. She often promoted his books and films to me, to no real avail. That is, until studying Greene’s work offered up an all-expense paid trip to England and the honor of giving a talk in front of Graham Greene scholars from across the globe. My professor wanted me to read Brighton Rock, Greene’s short novel about razor gangs in the 1930’s around the race tracks of Brighton, England. She wanted me to examine Greene’s fictional portrayal of the gang leader—Pinkie—and see if he had been able to “pull it off.” Did he write a believable and accurate tale of “gang life”? A short look at my past will give this more context. In the late 1990’s I was burnt out. I had made some money from a successful business and had tried to become somewhat of a yuppie. I had grown up around hippies and bikers, and I hated them. I never wanted to become one; however, surprisingly, In my period of burnout, I decided I should get back to my roots. So, I bought a motorcycle and started riding. Before long I became acquainted with the local chapter of a motorcycle club. Despite my disdain of motorcycle clubs and bikers going back to my childhood, I started hanging around and soon become a prospective member, and eventually a full patch holding member. This fed the starved ego of a young man that grew up without a father. I had found my place in life. I had found my mountain to climb. I spend the next ten years working my way through the ranks of the club. I was seeking the attention and approval of one man, the international president, and soon I became one of his security people. By the time I was a ten-year member, I had become a regional boss in the club, and I ruled over seven states and 20 chapters (approximately 250 members). I was king of my own world. Looking back, I never saw the change in myself. I never saw how much I enjoyed the power that I wielded over other men. I never saw the way I used my power over women, and I never expected that in a fist fight turned gunfight that left me staring at two dead brothers in a parking lot late one night, that I too would come close to death. There were over 40 shots fired in that fight. I was never hit. I was never the same after that night. This short story, and my willingness to share it as a testimony, or write about it in creative writing classes as practice pieces of my hopeful, future memoir, led to my sharing a far more detailed version of my life’s story with my professor. She connected my stories with Graham Greene’s Brighton Rock, and she felt that I could bring something new or fresh to the table at the yearly Graham Greene Festival in Berhamsted, England. In the late Spring of this year, she approached me and said there might be an opportunity for me to go to England with her and her husband to the International Graham Greene Festival. She said she would like for me to present a paper on Brighton Rock, and discuss whether Greene was able to pull off writing about “gang life.” I told her I’d have to think about it, and honestly, I wasn’t really interested because I was a bit afraid of going to Europe. She asked me to read Brighton Rock, and gave me a copy. At the time, I was taking a creative writing class from none other than Quentin Falk, author of Travels in Greeneland, among other books, and host to a vast body of work as a writer and film critic in Britain. He also encouraged me to come along to the festival. My biggest hang-up was that I thought Greene was a communist and a hard leftist, and I wasn’t interested in his work. I didn’t think I could write about his work in a sincere manner. I couldn’t bear the thought of letting down my professor. But, I read Brighton Rock, watched the 1947 and 2011 versions of the movie, and I was soon pulled in by this very mysterious and deeply disturbed, in my opinion, writer. My wife was also given the opportunity to come along, and her assignment was to focus on Greene’s other works, particularly, The Power and the Glory. As a side note, she stole the show at the event. Her paper and oral presentation were jaw dropping. She was greeted with praise from Greene scholars from all over the world. Aside from my wife and I having to give a speech at the festival, I was finally going to meet an author whose book I had edited and did the layout and design for the previous fall, David Pearce. David was a very sick man and is dying of cancer as I write this. He had been decently healthy up to the week before we flew to England. He had emailed me and spoke happily about how he would show Lori and me a side of Berkhamsted only he knew. He was a schoolmaster of the local private school and held other distinguished posts in his community. His poetry book has done well, also. But, days before our departure, we received an email that he had been placed in hospice. It was hard to hear. I had only known David through email as I edited and produced his book…his baby. Somehow, I felt that this trip to England was more than a speech or an academic exercise, I felt it had spiritual ramifications as well. And it did, as I would find out that Sunday when I finally met David. We arrived on Thursday morning having left Atlanta Wednesday night at about 10 pm. The festival starts on Thursday and runs through Sunday till lunch. Our speeches were to be at the top-rated spot—Saturday morning at 9 am. I spoke first, and I was still—right up to the very moment of my speech—unsure that these academics would appreciate my attempt to conjoin my life story with Greene’s book Brighton Rock. The list of attendees and speakers from the start on Thursday to Sunday’s finale was intimidating for an undergraduate and virtually unknown writer. Yes, I have several publications under my belt, but none of these folks had read them, I was sure of that. There I was, a fifty-plus undergrad with tattoos and a beard (at least I had shortened my beard from a foot long to an inch). I had struggled with writing my speech, trying not to make it about me, but to tie together my knowledge of gang life, and the motorcycle club lifestyle, with Greene’s Razor Gangs of the 1930’s. I gave my fifteen-minute speech, and it was well received. Even the dean of the humanities department of UNG, a normally quiet man, was excited with the crowd’s reaction. I did it, and my University was well represented by the time my wife gave her speech. My wife and I were so shocked at the questions, praise, and attention our speeches brought from the scholars and experts in attendance. I was later shown a post on the Facebook wall of the top scholar in attendance saying he had just heard from a former biker gang leader, and his thoughts, in connection with Brighton Rock. I was humbled, as was my wife. Then came Sunday. David Pearce was not receiving guests outside of family at this point. He was one of the founding members of the Graham Greene International Festival’s board of trustees. He was unable to attend or to take Lori and me on our special tour of Berkhamsted. I received notification that he insisted that my professor, whose name I’m leaving anonymous to respect her privacy, and I come to see him at the hospice facility. Needleless to say, I was honored to have such a man ask me to see him on his death bed. When we arrived, his wife led us in, and David was surprisingly lucid. I still think, to this very day, that he decidedly skipped his pain medications so that he would remain awake and coherent for our visit. David only opened his eyes fully three times during our more than 20-minute visit. The first was when he greeted me. I knew he was weak, and probably quite tired, but he grabbed my hand and arm with surprising strength, opened his eyes, smiled, and said, “Scott…my dear man.” Then he scolded me for shaving my beard and added, “Saxons are known for their beards.” I won’t share everything publicly that was said that day in that room; however, I watch a dying man express great joy for the journey awaiting him ahead. I’ve seen a lot of people die. I’ve seen them die in violent ways, and in hospital beds over an extended, slow period, but he was amazingly ready to “Take flight” as he said to me at one point. He signed a copy of his book for me, and we said our goodbyes. I choked up a bit, and he scolded me again saying, “Carryon man!” in his typical British accent and tone. I will never forget that day as long as I live. I’m still not a huge fan of Graham Greene, although I do like some of his work, and I’m glad my professor encouraged me to learn more about Greene. He is a complex and interesting man. I would highly recommend some of his books and movies. Quentin Falk asked Lori and me for a copy of our papers, which was another great honor. He said he wanted to steal a few quotes. I continue to become more of an academic and less of a biker as time goes on. And, I will always remember having the honor of touching the lives of so many people in England that day and having David Pearce call me his Saxon friend, and to learn that editing a book for someone would become such an important act. Who could have ever known? Thanks for the plug Peter. I have always wondered why folks automatically think that a writer is also a speaker! I prefer NOT to speak, yet I get asked…so I am learning how to do it. I am glad you were well received. I am pretty sure I would not have had the courage to attempt that trip! I religiously follow your site and with each post, I learn something positive. The writing styles are diverse, yet the quality of writing is something I am attempting to emulate. Reading about your trip to England and presenting your writing has to be memorable. For me it furthers my understanding of your credentials and the years of hard work to get where you are. On the lighter side, even your picture cries ‘Biker’. What surprised me, you were in a gang. Only goes to show, we all have more than one side to us. Thank you for sharing. A source of hope is the lessons we learn when we least expect them to arise. It sounds as if you’ve had many mentors and teachers who knew you were ready. Your piece about Greene was a great read. I hope there is more to follow. Hi, Scott. We’ve known each other for over twenty years, and through each transformation, you’ve not just changed, but helped others transform as well. I know you felt intimidated to go and present and yet, you overcame your hesitations and presented a paper that was well-received. You brought an authenticity to the audience that they might not ever have seen had you not gone. Your editing experience with David did open so many doors and I know how much meeting him meant to you. Thank you for letting us glimpse the person you were, and the man you have become. Also, I’m glad you mentioned Lori’s contributions, too. Her post at Two Drops of Ink is lonely without another one. Think you could put in a good word and get her to write another for us? It might be interesting to have her contrast her visit to England with yours, because each person experiencing the events processes it differently. Hint. Hint. I appreciate your love, friendship, and kind words. I also appreciate your work here, as assistant editor; you’re invaluable. As for Lori and her writing, I’ve tried. She’s a tough nut to crack. Lol. God bless. Scott, I knew you would find much to interest you in the land of my birth. 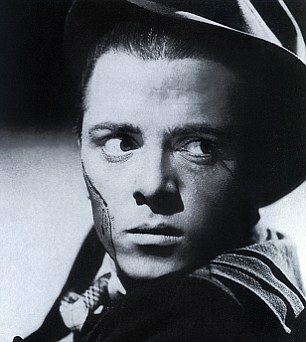 Brighton Rock was almost required reading when I went to school. Loved this piece. Thank you so much Peter. I’m glad you enjoyed the piece, and Lori and I hope to go to England again. Such a lovely country with lovely people.